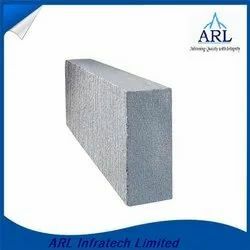 Pioneers in the industry, we offer aero tuff aac blocks, autoclaved aerated concrete blocks, fly ash concrete block, light weight block, aac blocks and aerated concrete block from India. 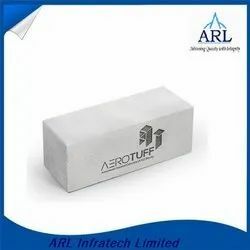 Aero Tuff AAC Blocks have been recently introduced in India and in a short span of time have become the preferred choice of construction material among builders and architects. AAC is a Green Building material and with its myriad benefits like High Strength to Weight Ratio, High Thermal and Sound Insulation, Easy Workability, Low Carbon Footprint during application and manufacturing etc is said to revolutionize the construction industry in India. 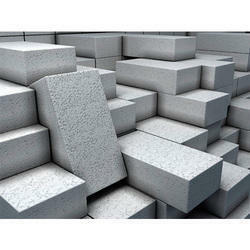 The superior insulation of Autoclaved Aerated Concrete Blocks‎ provides a comprehensive building material solution for indoor and outdoor construction. They are quick to install and can shape up any building project real quick. They can be cut, routed or sanded to fit in the varying requirements of a construction site. They are apt for urban construction that has a sharp temperature rise gradient. We test the blocks to ensure maximum strength. 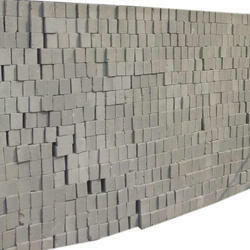 The superior insulation of Fly Ash Concrete Block provides a comprehensive building material solution for indoor and outdoor construction. They are quick to install and can shape up any building project real quick. They can be cut, routed or sanded to fit in the varying requirements of a construction site. They are apt for urban construction that has a sharp temperature rise gradient. We test the blocks to ensure maximum strength. The perfect insulation of Light Weight Block provides a comprehensive building material solution for indoor and outdoor construction. They are quick to install and can shape up any building project real quick. They can be cut, routed or sanded to fit in the varying requirements of a construction site. They are apt for urban construction that has a sharp temperature rise gradient. We test the blocks to ensure maximum strength. 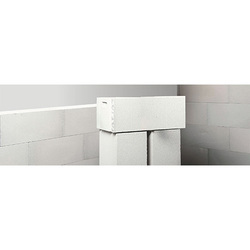 When you are looking at light weight and reliable building material then AAC Blocks are the perfect solution. They come with high thermal and sound insulation. They have optimum air tightness and can be molded into flexible structure. They can be cut into blocks or panels to suit specific construction requirements. We manufacture blocks that have the requisite density and are apt for a broad range of construction. The superior insulation of Lightweight AAC Block provides a comprehensive building material solution for indoor and outdoor construction. They are quick to install and can shape up any building project real quick. They can be cut, routed or sanded to fit in the varying requirements of a construction site. They are apt for urban construction that has a sharp temperature rise gradient. We test the blocks to ensure maximum strength.